Eric Milton and Terry Steinbach celebrated Milton's no-hitter with a traditional slow dance. Each week, commenter RandBallsStu (branding!) tracks down a former Minnesota sports figure about whom you might have forgotten. This works out well 95 percent of the time (the other 5 percent we end up getting yelled at by the athlete). Stu? Claim to Fame, Minnesota: much as the Twins had acquired Eric Milton in a trade of a veteran (Chuck Knoblauch) for a slew of prospects (Milton, Cristian Guzman, etc. ), so, too, would they eventually part with Milton for another batch of newcomers, all three of whom would eventually play for the team. Silva was a hot-and-cold starter for four seasons; Punto was Nick Punto; and Bobby Korecky was the first Twins pitcher to get a hit in a regular season game since the DH was rolled out. Claim to Fame, Everywhere Else: Milton pitched all of one season for the Phillies. He compiled a 14-6 record, with a 4.75 ERA and a WHIP of 1.348. Given his brief Philadephia tenure and his subsequent struggles, I award the title of trade victor to the Minnesota Twins. *Eric Milton. After a disastrous post-Phillies stint with Cincinnati, Milton attempted comebacks with the Yankees and Dodgers before a herniated disk ended his career. Most recently, he was the interim head baseball coach at the University of Maryland (his alma mater) before taking his current job managing the Severna Park (MD) High School baseball team. *Carlos Silva. Silva left the Twins as a free agent to sign a 4-year, $48 million deal with the Seattle Mariners. Oof. He did start the 2010 season 8-0 for the Cubs, but that was his last hurrah, as a 2012 minor league invite from the Red Sox didn’t take. Per the Medina, Minnesota Wikipedia page, he is still ONE OF US. *Bobby Korecky. Still active! Currently with the Buffalo Bisons, Toronto’s Triple-A affiliate, along with Chien-Ming Wang and Ricky Romero. Are Any of Them On Twitter: neither Silva nor Korecky appear to be on there, but this sure looks like Eric Milton’s account. Punto, of course, is still an active MLB player and goes by Shredderpunto on Twitter. Have Any of Them Been in a Twitter Feud with Patrick Reusse: no. Glorious Randomness: Korecky has pitched for both the New Hampshire Fisher Cats and the Batavia Muckdogs, both of which are real things. 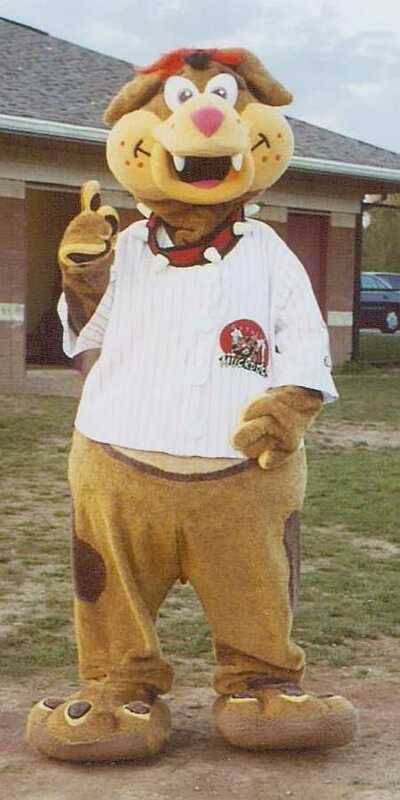 The latter has an insanely thorough Wikipedia page, and will have you know that the team’s original mascot/nightmare fuel, Maxwell T. Chomper, is now semi-retired.